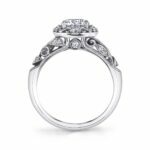 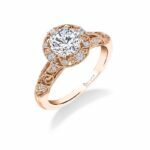 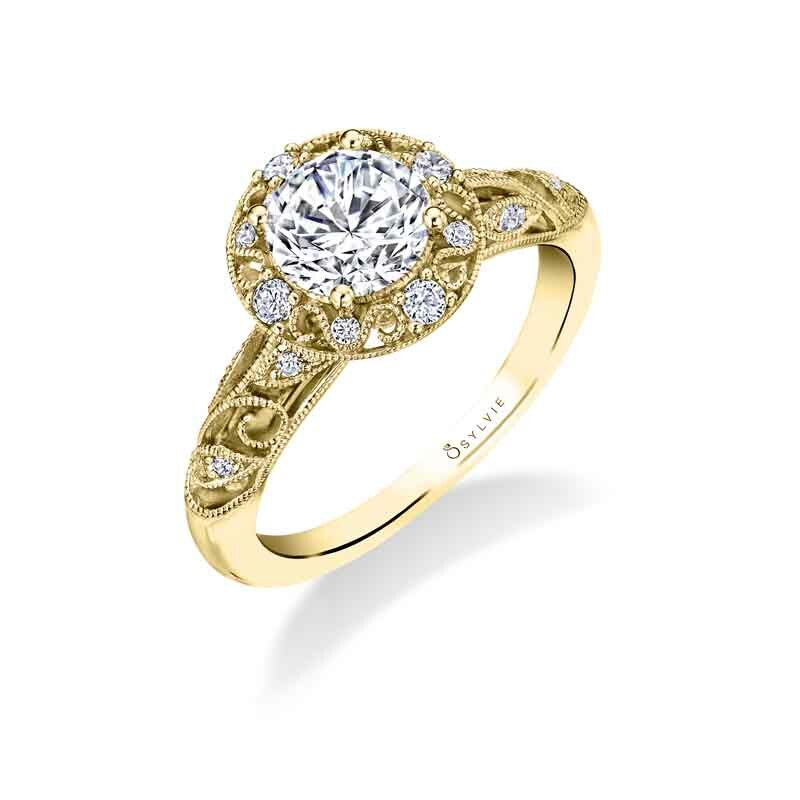 This stunning one-of-a-kind vintage inspired halo engagement ring is as unique as it is beautiful. 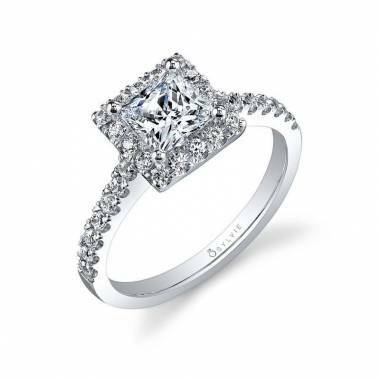 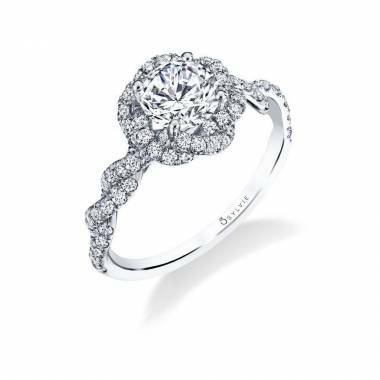 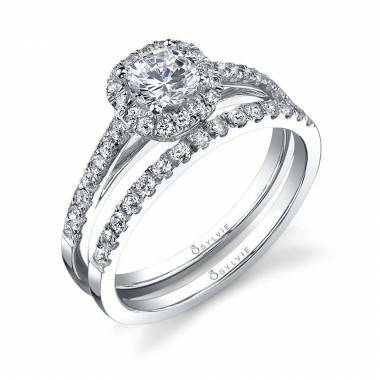 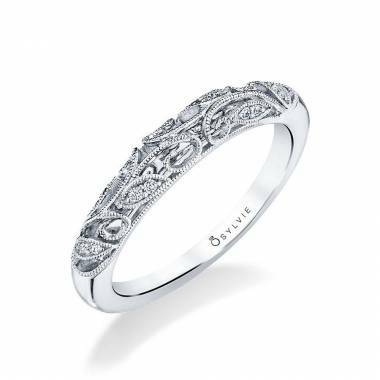 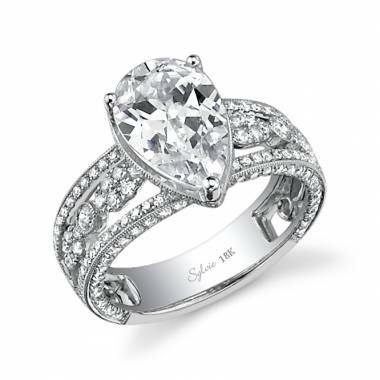 The 1 carat round center is surrounded by a halo of milgrain filigree and shimmering diamonds. All set atop a band of delicate scroll work. 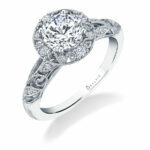 The total weight of this stunning vintage engagement ring is 0.23 carats.